…you first have to understand the truth about diabetes and the vicious cycle that causes it. Today, diabetes (along with a list of other health conditions) is blamed directly on the over-consumption of sugar. It’s oftentimes referred to as the “Sugar Disease”. And for those without a proper understanding of how the body works, this might make sense. 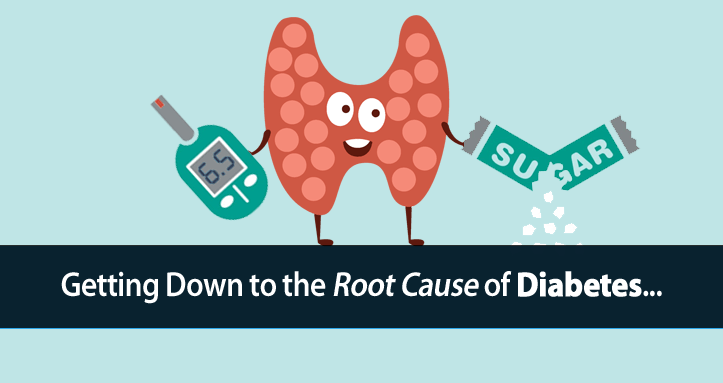 When a diabetic consumes large amounts of glucose, their blood sugar rises. And a chronic rise in blood sugar can lead to various health complications. Imagine you have a clogged sink drain while your water is running. As the water level continues to get higher and higher do you curse the water and blame it for clogging your sink? No, that wouldn’t make any sense. 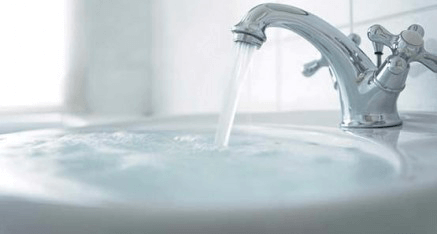 Would turning off the water and letting the water sit there solve your problem? We all know the underlying problem that you have to fix is the clog itself. Then why are so many people guilty of taking this very approach with diabetes today? Diabetes is not a disease “caused” by sugar. You require insulin to deliver glucose to your cells. This is why in type 2 diabetes, insulin injections are prescribed to treat the condition while doing nothing to solve the problem. Diabetes is a dysfunction within your body that prevents your cells from using glucose. So, just as the case with your clogged sink, blaming the water, or in this case sugar, doesn’t make much sense. If the underlying problem is that your cells are clogged, preventing you from being able to use glucose, then you can’t blame glucose as the problem. And if you think that turning off the water, or removing sugar from your diet is the solution then you’re in for a big surprise as well. Removing sugars and carbohydrates from your diet as a band-aid approach to forcing your blood sugar lower also fails to fix the underlying problem. Regardless of what your blood sugar levels are, your cells are still clogged and the underlying problem still exists. In fact, using a low-carb diet to manage your diabetes is actually quite dangerous in itself. With the increasing popularity of low-carb diets today, I’ve been seeing a higher prevalence of diabetes and especially pre-diabetes in my clients. For example, I recently consulted with a couple who both followed a low carbohydrate diet, one for 2 years, and one for less, while both developed thyroid issues. But they became very concerned when their latest trip to their doctor uncovered that both had also become pre-diabetic with elevated blood sugar. They didn’t understand how their blood sugar could possibly be high when they ate so few carbohydrates and absolutely no sugar. This is far more common than you think. And I’ll explain how this happens in just a second. The important thing to understand here is that diabetes is caused by a dysfunction within your body preventing your cells from using glucose. And blaming sugar and trying to avoid all sugars is NOT how you fix the underlying problem. It all boils down to what’s called the Randle Cycle. 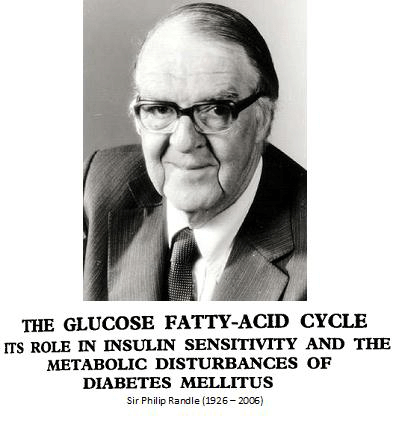 In a nutshell, the Randle Cycle is a mechanism by which the presence of large amounts of free fatty-acids (or fats) in your bloodstream compete with the sugar in your bloodstream and block your cells from being able to use or metabolize your blood sugar. So, it should be no surprise to learn that diabetics have high levels of circulating free-fatty acids in their blood. And as mentioned previously, if you can’t get sugar to your cells then you won’t be able to use thyroid hormone efficiently. So, how does this occur in hypothyroidism? It’s well known that in hypothyroidism, your liver loses its ability to store and release its storage form of sugar, glycogen. And it’s this liver glycogen or stored sugar that is supposed to be keeping your blood sugar stable, especially between meals. This is why hypothyroidism sufferers lose the ability to properly regulate their blood sugar and instead are forced to compensate by over-producing stress hormones instead. Those stress hormones, adrenaline and cortisol, are hormones of survival. Consider the fact that your brain is the largest consumer of sugar in your body. And it requires a huge amount of sugar to function. 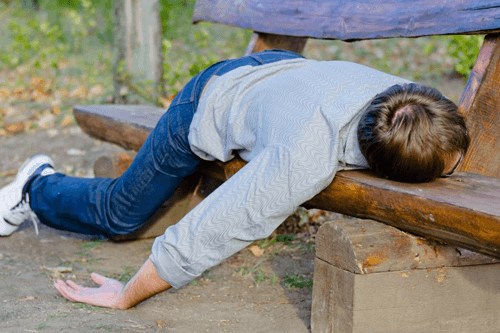 If your blood sugar continued to drop too low then your brain would not be able to function, you would lose consciousness, and you wouldn’t be able to recover. In other words, life as you know it would be over. The primary purpose of these stress hormones is to keep you alive by preventing your blood sugar from dropping too low. When you are hypothyroid and your blood sugar drops, your body first secretes the stress hormone adrenaline. It does so to stimulate your liver to release its stored glycogen/sugar, which as mentioned a hypothyroid liver can’t store. Adrenaline also triggers the release of free fatty-acids from your stored fats into your bloodstream, which we know from the Randle Cycle prevents your cells from being able to use sugar. And it’s these free fatty-acids that are responsible for the development of insulin resistance. Free fatty acids and insulin resistance. If you want to blame diabetes on something, blame it on PUFA. This is why we recommend avoiding polyunsaturated fats (PUFA) at all costs. PUFA oils are generally oils that are liquid at room temperature (olive oil is a slight exception) and are used widely in restaurants, almost all packaged foods, and just about everything you eat. Needless to say, much of the fats consumed today are in the form of PUFA. And therefore there are high levels of PUFAs stored within your body’s fat stores. So, when you are hypothyroid and compensate by secreting large amounts of adrenaline, it results in large amounts of PUFA being released into your bloodstream. And as Dr. Raymond Peat points out, these PUFA are responsible for killing insulin producing beta-cells of your pancreas. So, not only do these free fatty-acids cause insulin resistance within your cells, they kill your cells that produce the insulin that you need to deliver glucose to your cells. This is a diabetes disaster just waiting to happen. And cortisol plays an important role in diabetes as well. The primary role of the stress hormone cortisol is to break down protein tissue in your body and to convert that protein into sugar, as a means of preventing your blood sugar from dropping too low. And it’s this cycling of adrenaline and cortisol among hypothyroidism sufferers that creates the vicious diabetes cycle. 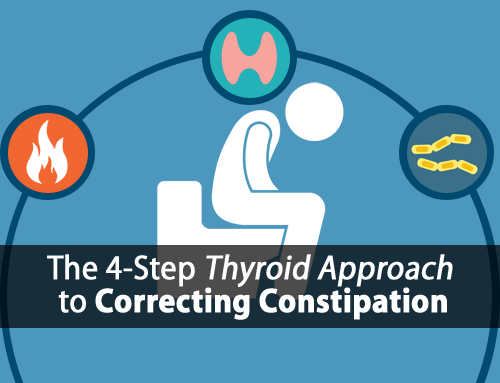 With hypothyroidism we see a continual cycle where your body compensates by secreting large amount of adrenaline followed by large amounts of cortisol. Blocks your cells from metabolizing glucose. Promotes insulin resistance within your cells. Kills your insulin producing cells. The production of more adrenaline. And more death to insulin producing cells. This cycling and surging of adrenaline and cortisol is what’s responsible for the development of insulin sensitivity and insulin deficiency. Over time your ability to metabolize glucose becomes further and further impaired as your blood sugar continues to rise in an attempt to keep your cells and brain functioning. …and it has everything to do with PUFA. While avoiding PUFA in your diet is extremely important, there are also foods that you should be using that can help protect you from diabetes by boosting your thyroid function. Some of those foods can be found in our 3 Food Thyroid-Boosting Daily Protocol. You can down it for free by clicking here. Lowering your blood sugar by removing carbohydrates from your diet will never fix the underlying problem of diabetes. Sure, you’ll go to your doctor who will monitor your fasting blood sugar and see that it is lower, or even within “normal” range. Your blood sugar will likely remain within range for a period of time. But the underlying dysfunction still exists. Your cells are still not able to use sugar. And you are still for all intents and purposes, diabetic. Your brain still requires huge amounts of sugar to function and will get it at any cost. In diabetes, if your brain can’t get the sugar it needs (increase in demand) it will force your blood sugar higher (increase in supply) by producing more stress hormones. And if it’s the over-production of adrenaline and cortisol that caused the problem to begin with… then forcing your body to produce more of these stress hormones will never solve the problem. By removing more and more carbohydrates from your diet, all you’re doing is forcing your body to produce more adrenaline and cortisol to compensate, which only makes your diabetes worse. This is why diabetics and hypothyroidism sufferers who follow a low-carb diet long term will see that their blood sugar “stabilizes” initially for a period of time and then begins to increase again no matter how few carbohydrates they consume. Just as in the case of my two low-carb clients I mentioned earlier. The more carbohydrates they removed from their diet, the more diabetic they became. And the more difficult it becomes to reverse. I work with plenty of diabetic clients and it does take time and is not always easy. The approach we take with clients and use in our Hypothyroidism Revolution Program is very different than what most are used to. But it’s important to understand that the only way to solve the problem of diabetes is to fix the underlying dysfunction that causes it. In our case of the clogged sink, we don’t blame the water (sugar) and we don’t just turn the water off (remove carbohydrates from our diet). Instead we work to remove the clog (the real underlying problem) itself. For starters, we need to overcome your inability to regulate your blood sugar. To do this, we use diet to compensate for the liver by eating the right balance of carbohydrates and frequently enough to keep blood sugar regulated. We’re essentially using diet to regulate your blood sugar while your liver is unable to do it. Then we work to prevent the release of the free fatty-acids into our bloodstream that triggers the Randle Cycle and promotes diabetes. One way to do this is through the use of vitamin B3 (Niacinamide) which helps inhibit the lipase enzyme that releases free fatty-acids from stored fat. Keeping those free fatty-acids out of your bloodstream is essential. Then we can use certain carbohydrates therapeutically to help restore your ability to get glucose to your cells and for your cells to use that glucose efficiently. For example, consuming more fruits and getting more fructose is known to help improve your cells ability to use glucose. Focusing on less grains and starches and more fruits is very effective. Yet today, we live in a world where more people have become afraid of healthy carbohydrates. Fruit and fructose containing sugars have been shown to prevent diabetes. Even orange juice has been shown to be an ideal source of carbohydrates for diabetics. So, don’t be afraid of carbohydrates. They can actually help save your life. I agree with your conclusions in the article. Dr Peat has been spot on for years and this is no exception. Appreciate your work Tom. Hi Anthony, thanks for reading. how about fish oil is that not good? This sugar cycle has been a missing piece for a long time in my attempts to improve. I’m not diabetic, but dealt with symptoms like shaky hands, sudden mental fog, nerve tingling. Seems using OJ and Potato broth steadily through day is speeding the Thyroid progress. Thanks! Big piece of the puzzle! How do you do the potato broth? Thanks! Thank-you, Tom!! This is another of what I call your “golden goodies” — this info is worth it’s weight in gold! I really wish that this article would state more often and in the headings that it is to do with type 2 diabetes. No lifestyle changes can eliminate or even help with type 1 diabetes and people living with type 1 are often told by people that don’t know the difference to change their diet. The article mentions that we are referring to type 2 diabetes, however, everything we teach still applies 100% to type 1 diabetics as well. There’s a lot that can be done dietary-wise to help regulate blood sugar. How much vitamin B3 should be taken daily? This makes sense…HOWEVER, if the Randle cycle theory is right something bothers me. We either burn carbs (glucose..etc.) or fat. We prefer to burn carbs to re-establish insulin sensitivity, ok! but if we also take fats like butter or coconut oil (the healthy fats you recommend), aren´t we confusing the cells and are fostering to some degree the insuline sensitivity again? Is just a “little” butter good? or we should avoid almost completely and just eat whatever fat comes naturally with food (as in eggs or steak withour adding anything? I hope my question makes sense. Hi Guillermo, thanks for reading. To answer your question, we don’t just use EITHER fats or carbs for energy. We use both all the time. For example, at rest when energy requirements of the muscles are low, you may use more fat for energy. However, at the same time, your heart and brain are constantly in a high energy state requiring large amounts of carbohydrates (glucose) to produce the high levels of energy they need to function. So, it’s not a matter of one or the other. And the bigger concern is not that we consume fats at all. They are necessary and vital to life. 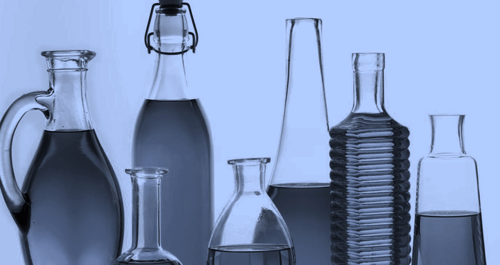 It’s has to do with the type of fat and the levels of free fatty acids in the bloodstream. Even at rest, free fatty acids in the bloodstream should remain relatively low and we use them as needed. It’s when we have high levels of circulating free fatty acids in the bloodstream that causes the problem. So is coconut oil or macadamia oil bad? I’m hypothyroid and struggling with weight gain. I’m active, eat a gluten free low GI diet and have a leaking gut. There is so much info out there, what is best? I’ve been following your program for almost two months now, and have seen enormous improvements in my energy levels and overall metabolism. I’m a former low-carber and am working to get my liver healthy again so I can control my blood sugar. For the past month I have been experiencing intermittent mild pain in my liver/gallbladder area. I have seen my doctor and got an ultrasound yesterday, which showed no abnormalities. Could my pain be related to my new eating protocol? Perhaps a sign that my liver is coming back to life? Or do you think the pain is unrelated? Hi John, it’s difficult to say exactly without knowing more. We do tend to see increased bile production and if there has been some biliary stasis or thickening of the bile as is common with excess estrogen then it could create some sensation in the area. My mum always ate a lot of fruit, far more than me…But she still got diabetes. She did eat grains, so…could it have been that? Hi Carmo, while fruit is protective against diabetes as mentioned in this article, there’s more to it than that alone. Hi Tom, thanks for the article, it’s very enlightening. Is this the same for reactive hypoglycemia? I was diagnosed with it two years ago and advised to follow a high fat, low carb diet which I have been following ever since. I felt much better for around a year and actually managed to lose some weight which was a relief! But this past year I have found the fatigue creeping in, weight creeping up and have recently been diagnosed with hypothyroidism. I’m still eating LCHF – should I introduce more veg and fruits? More severe reactive hypoglycemia is a bit more difficult to stabilize, but a low-carb diet will only perpetuate the Randle Cycle. This is why many develop pre-diabetes/diabetes after following a low-carb diet for prolonged periods of time. Hi, Tom, I’m reading all your articles and everything makes sense in a scintific way that as scientist, I appreciate a lot. I have hasimoto and thanks to the diet and supplements I passed in 9 months from Antibodies higher than 2900 to 200. I never took medicines. Something that really made the difference in the beginning to take away inflammation was gaps diet and cofee enemas. Then I passed to a paleo diet, but my body refuses that now, expecially meat and I started reintroduce carbs in my diet, especially in the week before my period I starve for them. What do you think about coffee enemas? They stimulate galbladder and liver detox, true? I did one every day for a month and I felt great. My natural doctor wanted me to keep doing that every day, but I felt it was too much and stopped. Tom, what about someone who has type II diabetes, but has not been dx’ed with hypothyroidism? Can the inverse of this situation be true? In other words, if you have type II diabetes, can you expect to acquire hypothyroidism, or is it most likely either undiagnosed or subclinical prior to a type II dx? Thanks for the great article! Hi Lori, great question because anyone who is diabetic will also be functionally hypothyroid regardless of diagnosis or not. Hi Tom , I have leptin and insulin resistance and also Hashimotos and eat a low carb diet most of the , when I do eat sweet potatoes my blood sugar goes up . So how can I eat more carbs if my blood sugar is going up ? Hi Ellen, blood sugar should rise when eating carbohydrates. The key is to successfully deliver that sugar to your cells and for your cells to metabolize it. If you continue a low-carb diet, then eventually the cortisol is going to continue to drive your blood sugar higher and make you more insulin resistant. We focus on correcting the underlying problem, not perpetuating it. I appreciate this article. It describes me perfectly! I’m in my 50s. A ketogenic diet made me feel great at first, then hypoglycemia started. I’ve since realized I’ve been hypothyroid for many years. I’ve just started medication (natural desiccated thyroid and T3) but still have hypoglycemic issues, even though I’ve been eating maybe 150g paleo carbs/day. I’ve recently added some gluten free oats and rice, but not much has changed. I purchased your meal plan and really wonder about all the orange juice! I’m insulin resistant (insulin levels were off the charts) and cortisol (4 point saliva test) was very high, too, especially at night. You are the first I’ve seen mention the liver and glycogen storage, so that’s been encouraging! Others are saying this will work, but honestly, I’m nervous! This is starting to make sense. Thank you! I tried the orange juice during the night as you suggest and I feel GREAT this morning! My blood sugar didn’t crash last night, for the first time in a long time! I will be reading everything on your site. Thank you so much! Hello Tom, this info rings true with my experience. I’ve usually enjoyed a varied whole food diet & avoided being drawn in to diet fads like low carb, etc & usually more or less enjoyed good health. But in times of higher stress, (– longer between meals, — poorer food choices on the run, like fast food), I develop symptoms of pre- diabetes. Then I try to compensate with a “better” low carb diet, & things have gotten worse recently. Here is my question: I think I have been self-medicating by craving coffee with lots of dairy & by insisting my youngest child ALWAYS has fruit at breakfast & lunch (she is small, so I often split a piece of fruit with her). Is this likely? I don’t think the coffee is a caffeine addiction bc I am happy at a cup a day & don’t have headaches or other withdrawal symptoms if I skip it. Do you think our bodies tell us what we need so directly, although we may attribute it to unhealthy cravings, or other things? Hi Tom, the article on Diabetes seems very interesting and informative. I am Type II Diabetic and on insulin for more than a year. Actually, the insulin dosage is increasing month on month but not resolving the issue. I am planning to follow proper diet to reduce medicine/insulin intake. I love your articles i read them all . I just have a question . my blood sugar up to 7.3 only in the morning, means when im fasting. during the day perfect no problem . i have under active thyroid . Hi Sue, that simply means that you’re cortisol (stress hormone) levels are very elevated at night, which is common in hypothyroidism because the liver can’t store glycogen to regulate your blood sugar at night. So, your blood sugar drops during the night when you’re not eating and cortisol rises in response. Cortisol’s primary purpose is to break down protein in the body and convert it into sugar to prevent blood sugar from dropping too low. When cortisol is overproduced, it can and will raise blood sugar in excess.